 thick plywood top that is sealed with walnut stain and protected by a UV polycoat layer. This table is durable and designed to remain upright with it's gravity-lock folding legs and 100% bolt-through construction. 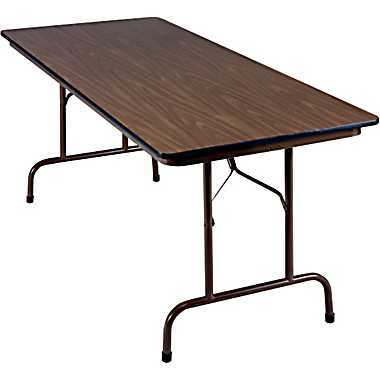 You can never have enough tables at any event, so make sure to rent extra P&S Furniture banquet tables.